30 YEARS OF STUDYING FAMILIES AT RISK FOR DEPRESSION: WHAT HAVE WE LEARNED AT PREVENTION? Dr. Weissman is an epidemiologist trained at Yale University. Her current research is on understanding the rates and risks of mood and anxiety disorders using methods of epidemiology, genetics, neuroimaging, and the application of these findings to develop and test empirically based treatments and preventive intervention. She directs a 3-generation study of families at high and low risk for depression who have been studied clinically for over 30 years and who are participating in imaging studies. She has directed these multi-centered studies to determine the impact of maternal remission from depression on offspring. Along with her late husband Gerald Klerman she developed Interpersonal Psychotherapy (IPT). Her latest description and history of IPT can be found in Weissman M, Markowitz, Klerman G, The Guide to Interpersonal Psychotherapy, Oxford Press 2018. An honorary fellow of the Royal College of Psychiatry and a member of the National Academy of Medicine, she has been the author or a co-author of over 600 scientific articles and chapters, and 11 books. In April 2009, she was selected by the American College of Epidemiology as 1 of 10 epidemiologists in the United States who has had a major impact on public policy and public health. The summary of her work on depression appears in a special issue of the Annals of Epidemiology, Triumphs in Epidemiology. In January 2016 she was listed as one of the 100 highly cited authors in Google Scholars Citation. THE FUTURE OF PSYCHOTHERAPY IN PSYCHIATRY: ARE WE READY TO ABANDON THE MIND/BODY DICHOTOMY? 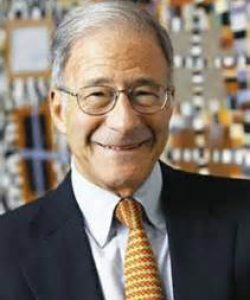 David J. Kupfer, M.D., Distinguished Professor Emeritus, Department of Psychiatry, University of Pittsburgh School of Medicine, received his bachelor’s and M.D. degrees from Yale University. Following completion of an internship, Dr. Kupfer continued his postgraduate clinical and research training at the Yale New Haven Hospital and the National Institute of Mental Health (NIMH). In 1970, he was appointed Assistant Professor of Psychiatry at Yale University School of Medicine. Dr. Kupfer joined the faculty at the University of Pittsburgh in 1973. 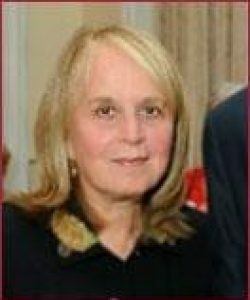 From 1983 and 2009, Dr. Kupfer served as Chair of the Department of Psychiatry at the University of Pittsburgh School of Medicine, and Director of Research at Western Psychiatric Institute and Clinic. Under Dr. Kupfer’s direction, WPIC became one of the nation’s preeminent university-based psychiatric research centers. A prolific writer, Dr. Kupfer has authored or co-authored a combination of more than 1,000 articles, books, and book chapters. 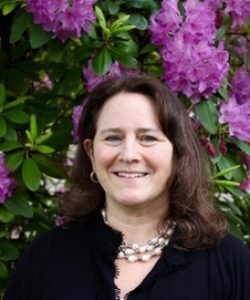 Dr. Kupfer’s own research focused primarily on long-term treatment strategies for recurrent mood disorders including both psychotherapeutic and pharmacologic treatments, the pathogenesis of depression, and the relationship between biomarkers and depression. He is internationally recognized for his role as Chair of the American Psychiatric Association Task Force for DSM-5. In recognition of his contributions to the field, Dr. Kupfer has been the recipient of numerous awards and honors including his 1990 election to the National Academy of Medicine. 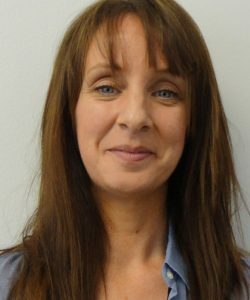 Dr Roslyn Law trained as a clinical psychologist at the University of Edinburgh and as an IPT practitioner and supervisor at the Clarke Institute of Psychiatry, Toronto. She has worked in multiple clinical settings, including primary care and specialist psychotherapy services for people with eating disorders, post traumatic reactions, sexual health and for children and families. She is an executive member of IPTUK and ISIPT, with lead roles in workforce development and dissemination. She is currently Deputy Director for CYP IAPT at UCL and Consultant Clinical Psychologist and IPT and IPT-A lead at The Anna Freud National Centre for Children and Families. She was author of the national curriculum for IPT and IPT-A practitioner training and IPT supervisor training in IAPT and CYP IAPT and had written two books on IPT and IPT-A. Interpersonal Virtuosity: Nourish or Perish! A passionate clinician and patient advocate, Oguz Omay has been involved in perinatal psychiatry for over two decades. Taken aback by the fact that very few women found adequate psychiatric care during the perinatal period, he organized a grass roots multidisciplinary networking movement in his region to address perinatal mental health. With the contribution of many professionals as well as mothers with relevant lived experience, this movement led to the creation of the Perinatal Psychiatry Unit in La Teppe Medical Center, Tain l’Hermitage, France. During the 20 years Oguz Omay worked there, La Teppe Medical Center in Tain l’Hermitage, hosted regular regional, national and international workshops under the auspices of the International Marcé Society and Postpartum Support International. The meetings were attended by participants from 40 different countries and widely acclaimed. In his efforts to organize better care for mothers, Oguz Omay helped to introduce Interpersonal Psychotherapy (IPT) for perinatal depression, both in France and Turkey, his country of origin. He has been an active IPT supervisor and trainer in both countries, giving trainings in French, English and Turkish. Oguz Omay is qualified in both Child/Adolescent Psychiatry and Adult Psychiatry. After having lived and worked in France for more than 30 years, he recently moved to Lausanne, Switzerland, where he joined Les Toises, Psychiatry and Psychotherapy Center. He is also affiliated to Üsküdar University in Istanbul, Turkey, to facilitate the dissemination of IPT in his country of origin. IPT and CBT for depression going Dutch; do they really share equally? 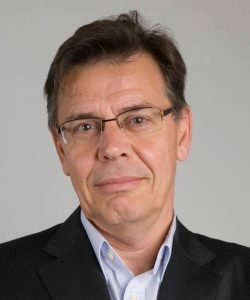 Frenk Peeters is professor of psychiatry at the Department of Psychiatry and Psychology at Maastricht University Medical Centre, and the Faculty of Health, Medicine and Life Sciences, Maastricht University. He was trained in Amsterdam and Maastricht as a psychiatrist and psychotherapist. Dr. Peeters is a researcher and clinician in the field of mood-disorders with an emphasis on major depression. Clinically, he is an expert in the treatment of (treatment-resistant) mood disorders using psychotherapeutical, pharmacological and other biological (e.g., ECT) approaches. In 2001 he founded the Mood Disorders Treatment Program at the RIAGG Maastricht that he also headed until 2006. The program was nation-wide known for its implementation of state-of-the-art treatments and innovative multidisciplinary approach of (complex) mood disorders. The program hosted research projects addressing both fundamental and clinical topics in the field of mood disorders. In december 2010, this treatment unit was acknowledged as a TOP-GGZ (top mental health) treatment center meeting high and stringent clinical- and research criteria. Current research activities consist of studies into emotion regulation in daily life with ambulatory assessment in depression and bipolar disorder, predictors, moderators and mechanisms of change in (psycho) therapies for depression, and research into (novel) treatment strategies for depression like psychotherapy, mHealth and neurofeedback.